In 2009, Michael Stelzner created Social Media Examiner. Chances are you’ve already stumbled across his website in some way. They turn out a lot of high-quality content over there. But in the years, before it existed, Michael was a big name in the white paper industry. He had 20,000 people signed up to his monthly newsletter where they learned how to produce effective white papers themselves. That itself came about as a result of tech market crash on 2002 when people stopped hiring marketing agencies. This led to him looking for something else he could do, which ended up being white papers. So not only does Michael have experience in creating big successful companies; but doing so during times of a financial crisis. 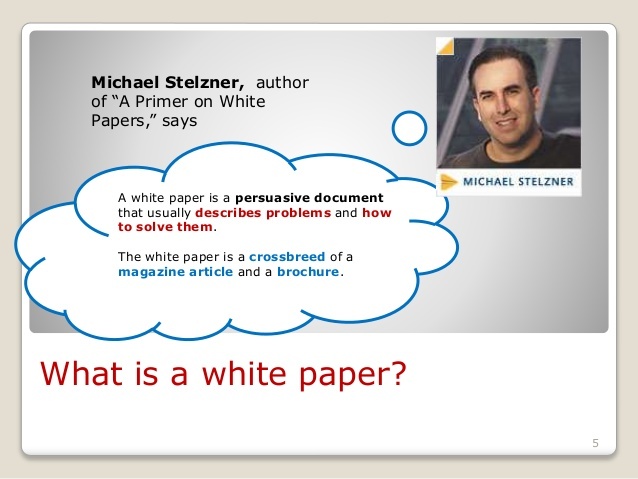 With a white paper, you are selling a complex idea or product. And when you’re doing that, those who read it will consider you an expert. And everyone is going to listen and want to work with an expert. And that translates to the online world. When you produce a blog post, a video or podcast, the people you’re teaching will give you an expert status. And as a result, they will always come back to you when they need to know something else in the future. 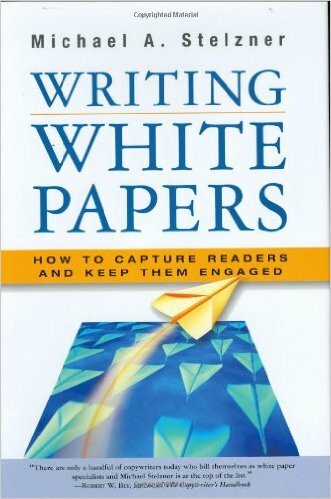 With Michael’s ‘White Paper Source’ business of old, he wrote an article about writing white papers. It ended up going viral. This gave him expert status, which was then backed up with 20,000 subscribers. As a result, he then wrote a book and created training materials and workshops. He had discovered a niche. He created a living out of sharing and using his knowledge. And the same was, and still is, true with Social Media Examiner as well. You need the content to be of a top notch quality. Then you can focus on getting an audience. You will want to have someone so good that people will read it and instantly want to read more. And then share it so that their friends, family, and colleagues can benefit also. People are instantly attracted by good content. When a marketing message pops up in the middle of a page as you’re reading an article, it causes friction in the mind. You become distracted from what you were doing. Or people instantly see what you’re trying to do and turn off. Your audience is suddenly no longer interested. You’ve not even giving them the chance to get respect for you, and already you’ve lost their trust. The key thing is to build rapport and trust between you and the audience. Your articles should be like a little gift you’re giving away. With no strings attached. And that means no selling. However, you want to invite them back and continue to give further gifts away. And if they like the gift, they’ll want to continue receiving them. In which case you’ll want to give them plenty of opportunities for them to sign up for your emails. 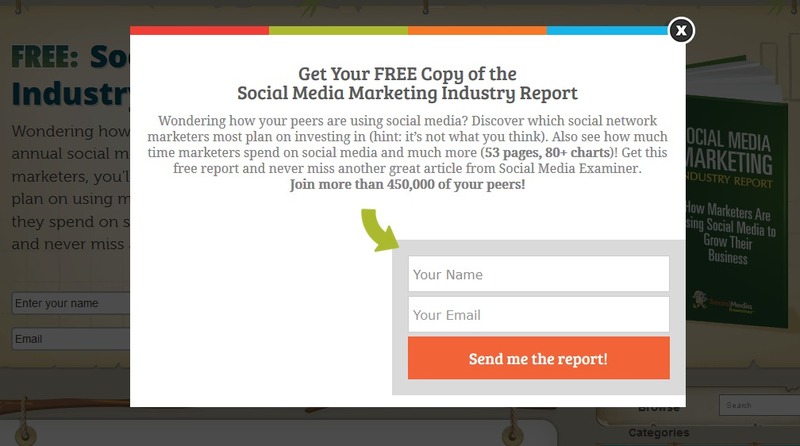 Using this method, last year alone Social Media Examiner added 250,000 subscribers to their daily email list. But you’ll also want to let them receive your updates in other ways. You’ll need to go to them, rather than expecting them to always come to you. It could be through your social media profiles. Whatever the case, you need to make sure you’re delivering new content, not adverts. In order to make any money, there are of course going to be times when you’ll have to let them know about your products. But because you’ve built the trust, and you’ve become of high value to them, they will be more accepting of a marketing message. Because it’s rare, they won’t just ignore it. Because they love your gifts, they’ll instantly know it’s going to be worth their time and money. 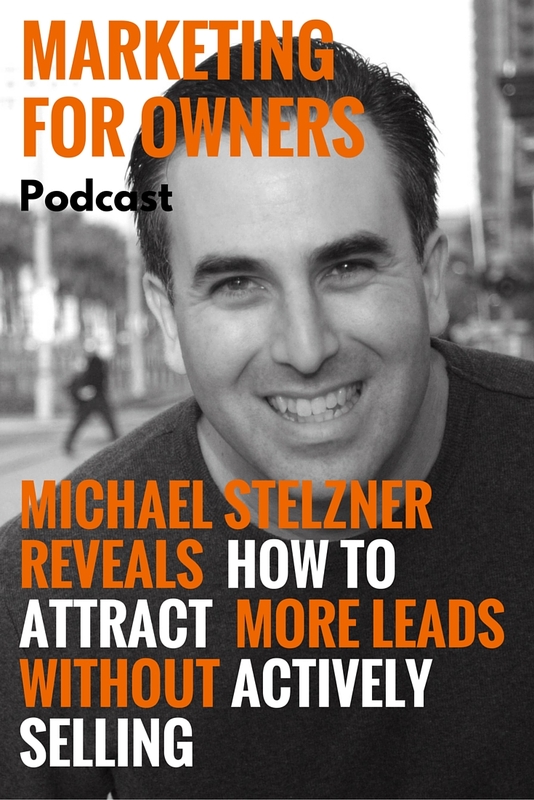 When Michael first started out, he asked for help from people he had connected with in his previous business. And he went to a conference with a cameraman and spoke to around two dozen speakers. This allowed him to speak to the key players already in the market and then develop relationships with them. Early on, this presented him with the opportunity to use ready-made names to build up his own. But it also offered another chance for the interviewee to increase their exposure. It was a win-win situation because he benefited from their desire for more coverage and publicity. It can quickly influence the audience’s opinion of you. If they see that this big name thought you to be worth their time, then maybe you’re worth their time too. But of course, if they are going to do you a favor, then make sure you’re willing to return it. As you can see, it ultimately benefits you both. Just like a favor, collaborations are a good opportunity for everyone involved. When you’re starting out, it’s another way of building a name for yourself. Perhaps starting it as a joint venture means you have more people invested in the project. This allows you to produce more content, whilst it remains of a high quality. It’s a lot better than you struggling and banging your head on the desk by yourself. Think of it as safety in numbers. Later on, when you have value, getting people to write for you only adds more value to the brand. But they will also gain because it’s the opportunity to talk to new, like-minded people. Michael used the relationships he’d build to start his conferences. He became the first person to create an online conference and now puts on a highly successful yearly conference. In fact, at his next conference, Social Media Marketing World 2016, he’ll have 3,000 people attending to watch 100 speakers. For the big names, they draw in the audience and again, gives them further exposure. But just to emphasize how important every relationship is, some of the speakers actually started to make their name by writing for Michael. And it’s at these, and every conference, where you can make some of the most valuable business relationships. You are meeting individuals who are in exactly the same position as yourself. 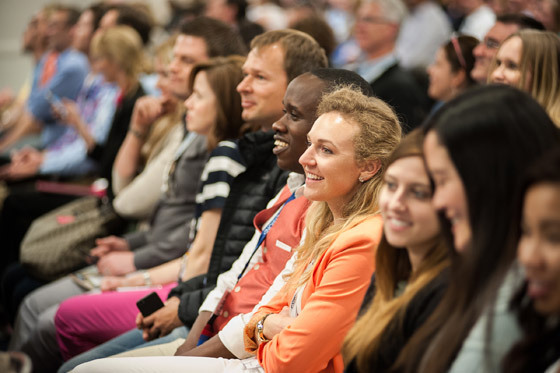 And because it’s so important, there are networking ambassadors on hand at Social Media Marketing World conferences. They will then match you up with similar people or those who you could both benefit from. But as well as that, they have a workshop where they help introverts gain the confidence to network with others. And lunch tables where people sit to talk about different interests. Morning walks and runs are also another way for people to meet in a relaxed manner. Michael ensures that people immerse themselves in building relationships. These are relationships with people which will last and be of benefit long after the conference has finished. And any conference is a great opportunity for any business. After all, how often would you have all these people in one place? With all the networking you should be doing, you may not have enough time to actually see the guest speakers. Which is handy because every session gets recorded at Social Media Marketing World conferences. So you haven’t got to miss anything worthwhile in the process. 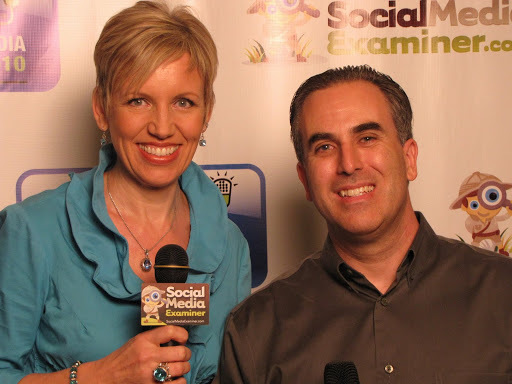 How Did Social Media Examiner Find Success? He is always pushing for excellence, and this ups the game for himself and those around him. But it’s because he cares about the quality and the experience people have when they use his products. And, of course, this includes all his free content. When he started out, he promoted his content all over social media. And then once he had them on his website, he made sure to provide plenty of opportunities to acquire their email address. This he achieved through subscribe boxes and exit intent pop-ups. Of course, not everyone will sign up, but it did grow. Then once he could share new content with them, they could read his newest post. And when they like it, they share it. They start to market for you, and this cycle continues on forever, gradually growing. And his email list is still expanding, as we touched on earlier. This is despite sending out an email every day. The worry often is that you’ll get classes as spam, or receive lots of requests from people to unsubscribe. But the truth is, if people are looking forward and enjoying your communications, that won’t happen. 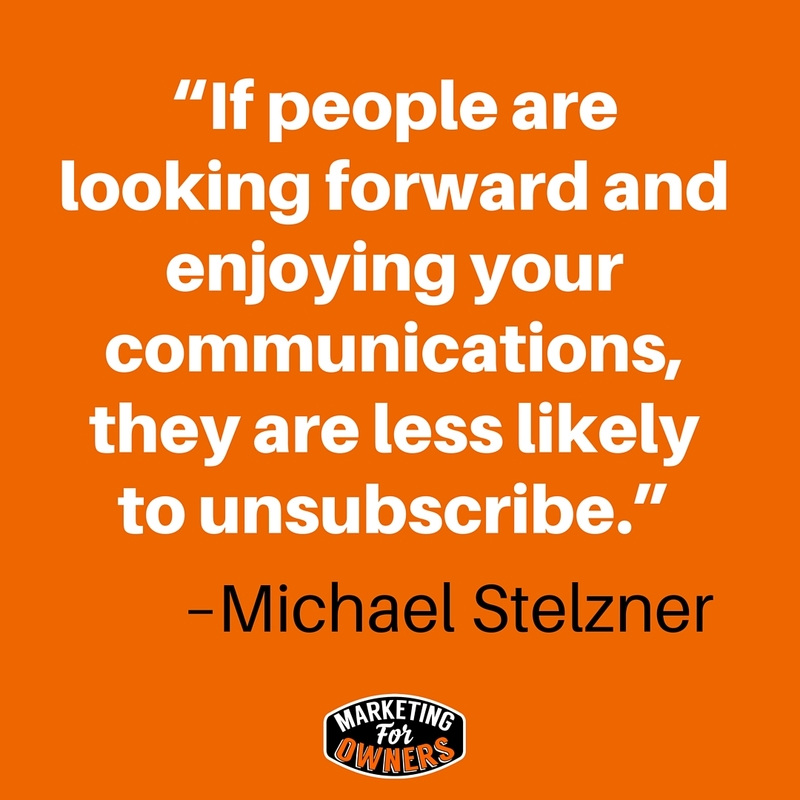 Also, remember that just because someone does unsubscribe, it doesn’t mean you’ve lost them. It may just be they going to find you somewhere else, like Facebook, which is more suited to them. 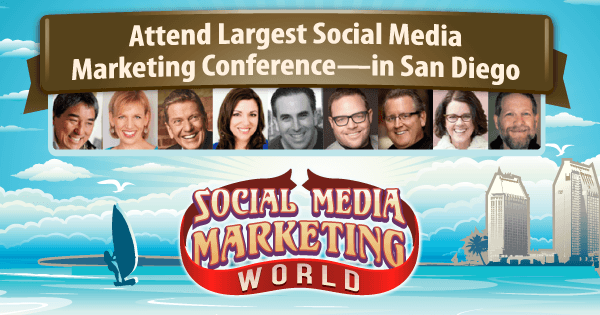 Take a look at www.socialmediaworld16.com for a list of all the speakers at Michael’s conference in San Diego on April 17th, 18th, and 19th. If you’re lucky there may be a few tickets going spare. But if not, or you can’t make it, you may want to purchase a virtual ticket. This gives you the opportunity to still experience all the fascinating speeches from the comfort of your home or office. Don’t forget to look at the free resources which Michael discussed at Social Media Examiner, by visiting www.socialmediaexaminer.com. From there you can also access his brilliant blogs, podcast, and a lot more.